Beit Sahour (Arabic: بيت ساحور‎ pronounced Bayt Saahoor (help·info)) is a Palestinian town east of Bethlehem under the administration of the Palestinian National Authority. The population of 12,367 is 80% Christian (most of them Greek Orthodox) and 20% Muslim. Christian tradition holds it to be the site of the Annunciation to the shepherds. There are two enclosures in the eastern part of Beit Sahour that are claimed by different Christian denominations to be the actual 'Shepherds Field': one belonging to the Greek Orthodox Church and the other, the Catholic site, to the Franciscan Custody of the Holy Land. The name Beit Sahur belongs to two places in the vicinity: Beit Sahur al-Atiqah ("ancient Beit Sahur") and Beit Sahur an-Nasara ("Beit Sahur of the Christians"). Beit Sahur al-Atiqah (Palestine grid 171/123) surrounded the tomb of Sheikh Ahmad al-Sahuri, a local saint to whom the local Arab tribe of al-Sawahirah attribute their name. The Sawahirah originate from the Hejaz and entered Palestine through al-Karak. Mujir al-Din mentions this place in a biography of a Muslim scholar Sha'ban bin Salim bin Sha'ban, who died in Beit Sahur al-Atiqah in 1483 at the age of 105. In 1596, Beit Sahour al-Wadi appeared in Ottoman tax registers as a village in the nahiyah of Quds of the Liwa of Quds. Beit Sahour al-Wadi had a population of 40 Muslim households. The villagers paid taxes on wheat, barley, vines or fruit trees, and goats or beehives; a total of 4,500 akçe. All of the revenue went to waqfs; half of which was to the Madrasah Muzhiriyya in Jerusalem. The place was noted by French geographer Guerin in 1863 as being 40 minutes south-east of Jerusalem, a short distance south of the Qidron Valley. An Ottoman village list from about 1870 showed that Beit Sahour et-Tahta ("the lower Beit Sahour") had a population of 66, with a total of 17 houses, though the population count included men only. In 1883, the Palestine Exploration Fund's Survey of Western Palestine (SWP) described the place as: "Ruins of a village with wells and a mukam." Clermont-Ganneau found here several old tombs in the 19th century. Beit Sahour (Palestine grid 170/123) is reputed to be close to the place where, according to the New Testament, an angel announced the birth of Jesus to the shepherds. According to tradition, St. Helena built a convent at the site, which is today known as the shepherd's cave. The Franciscans acquired a shrine there in 1347. Beit Sahour, like the rest of Palestine, was incorporated into the Ottoman Empire in 1517, and in the census of 1525-6 (932 AH), Beit Sahur an-Nasara had 5 Christian and 7 Muslim households, increasing in 1538-9 (945 AH) to 8 Christian and 8 Muslim households. By 1553-4 (961 AH) 13 Christian and 21 Muslim households were noted, and in 1562-3 (970 AH) 9 Christian and 17 Muslim households were counted. In 1596, Beit Sahur an-Nasara was registered as a village in the nahiyah of Quds (Jerusalem) of the Liwa of Quds, with a total population of 24 households; 15 Muslim and 9 Christian. 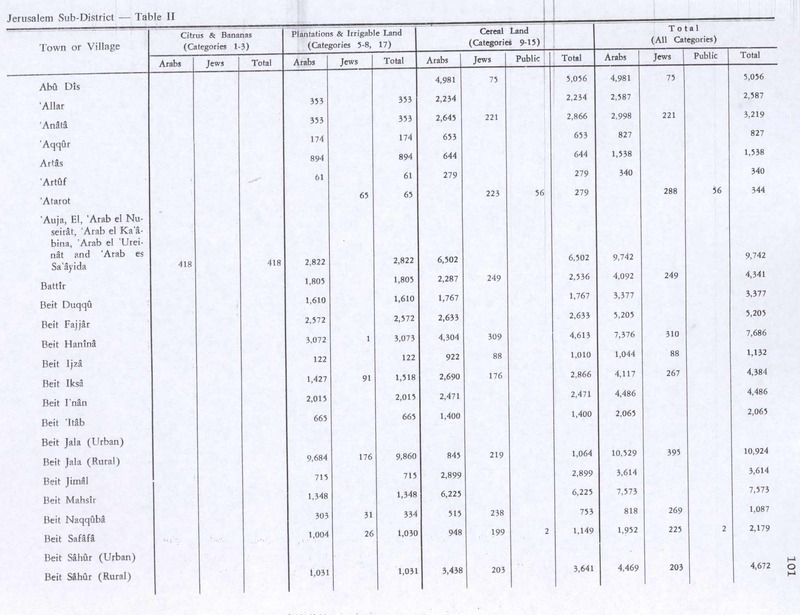 The villages paid taxes on the same products as the villagers of Beit Sahur al-Atiqah. The Franciscans ceased holding religious services at the shrine by Shepherd's Field around 1820. In 1864 a new Roman Catholic church and school were completed. 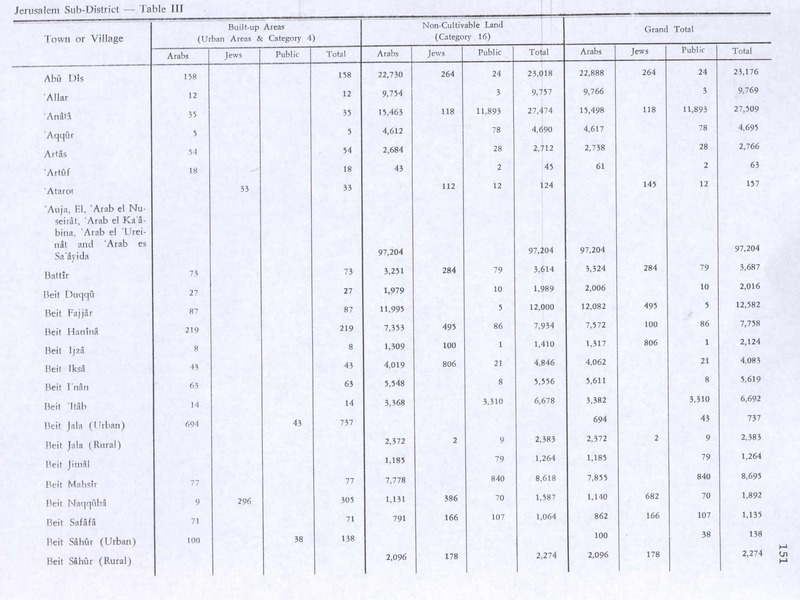 An Ottoman village list from about 1870 showed that Beit Sahour el-foka ("the upper Beit Sahour") had a population of 37 "Latins" (Catholics) in 11 houses, and 187 "Greeks" (Eastern Orthodox) in 48 houses, bringing the total population of both Beit Sahours, el-foka and et-tahta, to 190 (men only) in 76 houses. This village is a sort of suburb of Bethlehem, situated on the same ridge, with the broad plateau east of it known as the 'Shepherd's Field' ... [with] the small Greek Church of the Grotto of the Shephard, a subterranean chapel reached by 20 steps, containing pictures and mosaic. Above the vault are ruins with a Latin altar. Bait Sahur contains a well-built modern house belonging to the Latin curé, and is surrounded with olives and vines. In 1896 the population of Beit Sahour was estimated to be about 861 persons. A construction text, dating to 1897, engraved in the lintel of a door on Municipality Street has been examined, and was found to be a poem in 19th century Christian naskhi script. In the 1922 census of Palestine conducted by the British Mandate authorities, Bait Sahur had a population 1,519; 285 Muslims and 1,234 Christians, increasing in the 1931 census to 1,942; 395 Muslims and 1,547 Christians, in a total of 454 houses. In the 1945 statistics the population of Beit Sahour was 2,770; 370 Muslims and 2,400 Christians, who owned 6,946 (rural) and 138 (urban) dunams of land, according to an official land and population survey. 1,031 dunams were plantations and irrigable land, 3,641 for cereals, while 100 dunams were built-up (urban) land. In the wake of the 1948 Arab–Israeli War, and after the 1949 Armistice Agreements, Beit Sahur came under Jordanian rule. In 1961, the population of Beit Sahur was 5,316. Since the Six-Day War in 1967, Beit Sahour has been under Israeli occupation. The population in the 1967 census was 5,380. According to ARIJ, 52.8% of the village land is classified as being in Area A, while the remaining 47.2% is in Area C. From 1997 and onwards, Israel has confiscated hundred of dunams of village land for the construction of the Israeli settlement of Har Homa. The town's economy is largely based on tourism and related industries, such as the manufacture of olive-wood carvings. Agriculture and work in Israel also play a significant role. The town had a prominent role in the Palestinian national "Bethlehem 2000" project, as extensive renovations of tourist sites, hotels and businesses, and historic sites were carried out prior to the millennium celebrations. During the First Intifada, residents in the town had attempted to develop their own dairy industry—a move resisted by Israeli authorities. These efforts were documented in 2014 film The Wanted 18, co-directed by Palestinian filmmaker Amer Shomali and Canadian Paul Cowan. Social and economic development were disrupted by the Second Intifada. Beit Sahour is a center of Palestinian political activism. The town played a key role in the First and Second Intifadas, with local activists pioneering nonviolent resistance techniques. During the First Intifada and the Second Intifada, the Palestinian Center for Rapprochement between Peoples (PCR) based in Beit Sahour encouraged non-violent activism under the aegis of the International Solidarity Movement. George Rishmawi is director of PCR. During the First Intifada, the Palestinian Center for Rapprochement between Peoples issued an invitation to Israelis of goodwill to come and spend a weekend (Shabbat) in Palestinian homes using the slogan "Break Bread, Not Bones". The Alternative Information Center is also partly based in the town. Elias Rishmawi, a member of the Beit Sahour council, is co-founder, together with Ghassan Andoni, Majed Nassar, Rifat Odeh Kassis and Jamal Salameh, of the Alternative Tourism Group (ATG), a non-governmental organisation specializing in tours of the Palestinian territories, where the olive harvest is used as a backdrop for showing the effects of the Israeli occupation and land confiscation on the Palestinian population. In 1989, during the First Intifada, the Palestinian resistance (Unified National Leadership of the Uprising, UNLU) and Ghassan Andoni and Kamel Danoun, urged people to stop paying taxes to Israel, which inherited and modified the previous Jordanian tax-collection regime in the West Bank. "No taxation without representation," said a statement from the organizers. "The military authorities do not represent us, and we did not invite them to come to our land. Must we pay for the bullets that kill our children or for the expenses of the occupying army?" The people of Beit Sahour responded to this call with an organized citywide tax strike that included refusal to pay and file tax returns. Israeli defense minister Yitzhak Rabin responded: "We will teach them there is a price for refusing the laws of Israel." The Israeli military authorities placed the town under curfew for 42 days, blocked food shipments into the town, cut telephone lines to the town, tried to bar reporters from the town, imprisoned ten residents (among them Fuad Kokaly and Rifat Odeh Kassis) and seized in house-to-house raids millions of dollars in money and property belonging to 350 families. The Israeli military stopped the consuls-general of Belgium, Britain, France, Greece, Italy, Spain and Sweden when they attempted to go to Beit Sahour and investigate the conditions there during the tax strike. Israel's military occupation had the authority to create and enforce taxes beyond the baseline Jordanian code enacted in 1963 in areas formerly administered by that country, including Beit Sahour. During the Intifada, they used that authority to impose taxes on Palestinians as collective punishment measures to discourage the Intifada, for instance "the glass tax (for broken windows), the stones tax (for damage done by stones), the missile tax (for Gulf War damage), and a general intifada tax, among others." The United Nations Security Council considered a resolution demanding that Israel return the property it confiscated during the Beit Sahour tax resistance. The United States vetoed the resolution, which was supported by the other eleven council members. 'Ush Ghurab, a hill occupied by a military base until 2006, is now the site of a development project. A restaurant, a climbing tower, a football field and a park are being built on the hillside. The municipality of Beit Sahour also has plans for a hospital and a sports center. 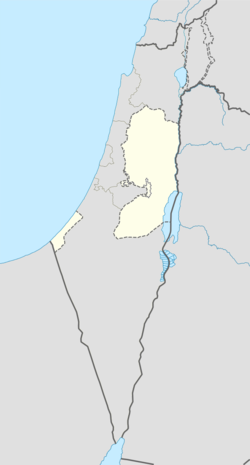 The municipal council of Beit Sahour was established by the British Mandate on April 16, 1926, but was formally implemented in 1929. Prior to that date, the first village council was established in 1925 at the initiative of the citizens of Beit Sahour. The village council developed into a municipal council in 1955 under the chairmanship of Nicola Abu Eita. In the 2005 municipal election, two lists gained seats in the municipal council. Eight seats went to 'United Beit Sahour' and five to 'Sons of Beit Sahour'. The most popular vote was for Hani Naji Atallah Abdel Masieh of United Beit Sahour with 2,690 votes, followed by Elen Michael Saliba Qsais of Sons of Bethlehem with 2,280 votes. 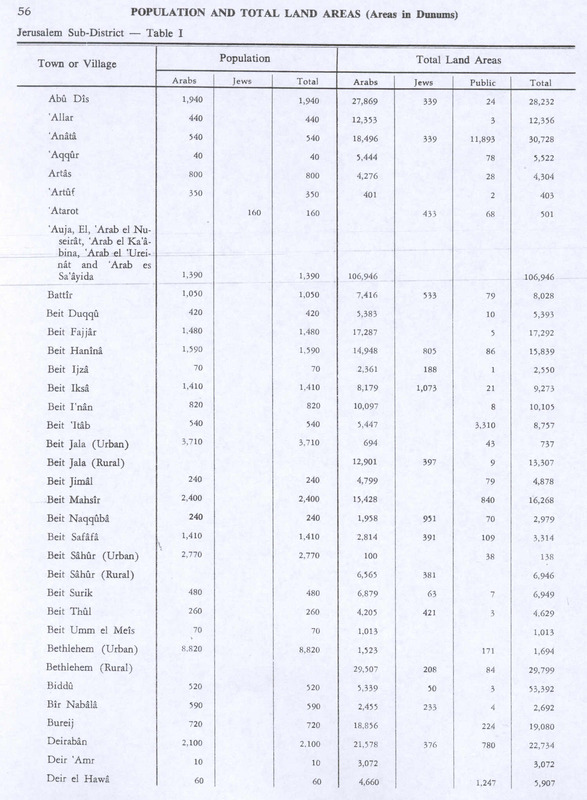 According to the 1984 census, there were 8,900 Beit Sahouris. 67% were Greek Orthodox, 17% were Sunni Muslim, 8% were Roman Catholic, 6% were Greek Catholic and 2% were Lutheran. Within the environs of Beit Sahour is the ruin Khirbet Umm Toba. An archaeological survey-excavation was conducted at the site in 2010, 2013 and 2016 by Zubair Adawi on behalf of the Israel Antiquities Authority (IAA), which yielded pottery from the Byzantine era. Some had surmised that the site may have been the Caphartobas of Josephus. ^ 2007 PCBS Census Palestinian Central Bureau of Statistics. p.117. ^ History, Economy, and Tourism Archived 2014-03-20 at the Wayback Machine Beit Sahour Municipality. ^ Cullen, Patrick. "REVIEW: The Wanted 18". Point of View. Documentary Organization of Canada. Retrieved 20 November 2014. Baxendale, Sidney J. "Taxation of Income in Israel and the West Bank: A Comparative Study" Journal of Palestine Studies, Vol. 18, No. 3 (Spring, 1989), pp. 134-141 "it retained the Jordanian tax law"
^ Glenn Bowman, 'A Death Revisited: Solidarity and Dissonance in a Muslim-Christian Palestinian Community,’ in Ussama Samir Makdisi, Paul A. Silverstein (eds.) Memory and Violence in the Middle East and North Africa, Indiana University Press, 2006 pp.27-48 p.30. ^ Israel Antiquities Authority, Excavators and Excavations Permit for Year 2013, Survey Permit # A-6741; Excavators and Excavations Permit for Year 2010, Survey Permit # A-5868, led by Zubair Adawi and Ann Eirikh-Rose; Excavators and Excavations Permit for Year 2016, Survey Permit # A-7615. ^ "Twinning". Welcome in ..:: Beit Sahour ::.. Municipality. Retrieved 2016-06-02. Abel, F.M. (1938). Geographie de la Palestine. 2 Geographie Politique. Les villes. Librairie Lecoffre. Burgoyne, Michael Hamilton (1987). Mamluk Jerusalem. ISBN 090503533X. Kildani, Hanna (2010). Modern Christianity in the Holy Land. AuthorHouse. ISBN 9781449052843. Sharon, M. (1999). Corpus Inscriptionum Arabicarum Palaestinae, B-C. 2. BRILL. ISBN 90-04-11083-6.